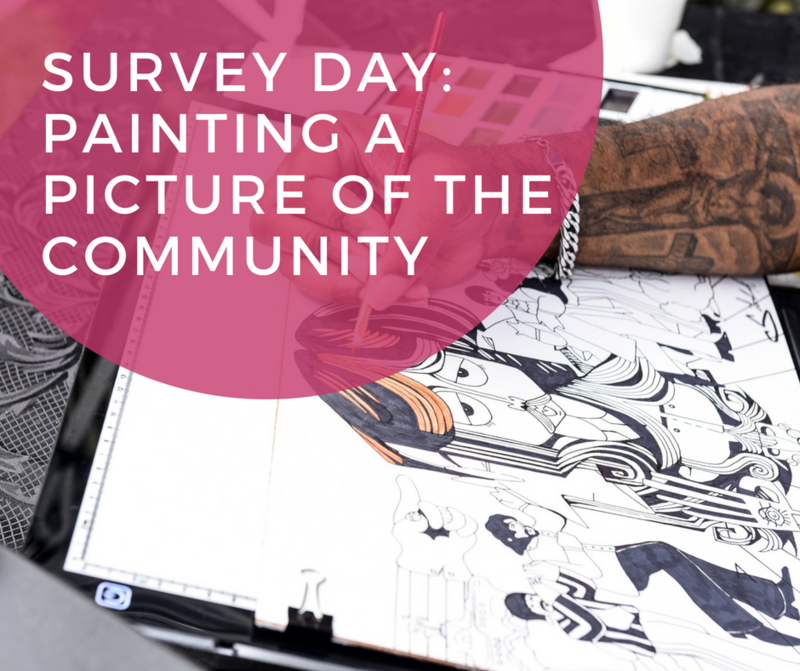 Survey Day: Painting a Picture of the Community - The Idea Inc.
Surveying is a way to gather information from an area that helps to paint a picture of the community’s thoughts and feelings towards subjects. For the Housing Authority of the City of Fort Lauderdale, we surveyed people in a particular area to gather data about future initiatives and community sustainability. Sometimes, to survey effectively, you have to go out into the field and interact with the people in the community. When we went out, we ran into two individuals raging for the protection of a building that was not historical building, but the building that had already replaced the original historical building. Another time, we approached a building and tenant’s that had just been entirely evicted. The owner was also there leading to a fairly awkward moment when we went to ask our survey questions. Surveying is an effective way of gauging the opinions and realities of a community, its’ people, and their needs and desires. The survey that we canvassed the community with was created to gauge the communities interests as it relates to housing, employment, education, safety, and family needs. It will assist in the process of helping to determine what type of jobs and employment the members of community are seeking. The education and training that members would prefer to undergo. The housing needs of the community as it relates to home-ownership and willingness to participant in programs that facilitate home-ownership. The greatest need that families in the community are facing. The desire of members of the community to invest financially in areas such as the stock market. And what the perception of police is in the community. A strategic partnership is a partnership where all of the participants benefit from each other. They allow for different entities to each achieve their individual goals by using each partner’s expertise to advance forward. The surveys that were taken will allow for our partner to be able to connect members of the community with the jobs and careers that they are interested in. It also allows for the employers and companies of those jobs and careers to be able to directly connect with their future potential employees. This creates a benefit for both parties by allowing for members in the community to work the jobs and careers that they want and will meet their needs. While also matching employers and companies with the people that they need who have interest in their field. We are working to confirm Career Source Broward here in Fort Lauderdale, FL to help with the planning, organization, and implementation of a career fair to match these future employers and employees together creating that mutually beneficial relationship.There will also be the creation of a job training and readiness program to ensure that community members have the skills to qualify for the job opportunities provided, as well as job training to maintain a competitive edge for employment within the community. Strategic partnerships are an effect way of achieving goals with using less resources. A strategic partnership allows for delegation to occur between different parties allowing for them each “specialize” in providing a specific task to achieve the combined objective. With the surveys that we created providing the knowledge and information on what field members of the community would like to work and train in; and Career Source Broward gathering employers in those fields. This strategic partnership between the both of us a mutually beneficial one allowing for both of us to achieve of goals much more easily.